Grand Central Publishing, 9781538760871, 256pp. From the author of Suzanne's Diary for Nicholas and Sundays at Tiffany's comes a book that became an instant New York Times bestseller with two heartwarming tales about the power of a good story to open our eyes to life's possibilities. Anne McWilliams has lost everything. After her marriage falls apart and a hurricane destroys her home she realizes that her life has fallen out of focus. So she takes to the road to ask long lost friends and strangers a simple question: "What's your best story?" Can the funny, tragic, inspirational tales she hears on her journey help Anne see what she's been missing? Tyler Bron seemingly has it all-a successful company and more money than he knows how to spend. But he has no life. So he hires a struggling novelist to write one for him. There are no limits to the fictional world that Bron's money can transform into a reality, and he soon becomes the protagonist of a love story beyond his wildest imagination. But will Tyler Bron be able to write the happy ending himself? James Patterson holds the Guinness World Record for the most #1 New York Times bestsellers, and his books have sold more than 350 million copies worldwide. He has donated more than one million books to students and soldiers and funds over four hundred Teacher Education Scholarships at twenty-four colleges and universities. He has also donated millions to independent bookstores and school libraries. "What do women want? At this point in his career, Mr. Patterson probably has a better answer than Freud did." 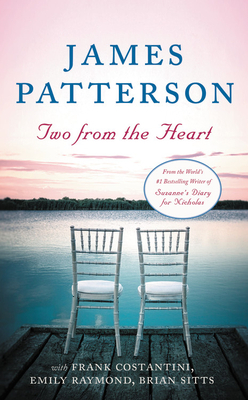 "Patterson has mastered the art of writing page-turning bestsellers."